A few notes from his book, ‘My Life on a Napkin‘. -We all lack something as coaches. -Once the season starts make a total commitment. -The game, the responsibilities, and the pressure take their toll on you. -He told parents he’ll care more about their son’s academics then they will. -A coach needs to be committed to a kid’s education. -The coach determines the program. -When he recruits players: Looks for guys who love to play. Who have a feel for the game, a sense for the game. It’s very hard to find he says. Looks for guys whose teams win. He looks for improvement. Look at their worst games, se how they respond to adversity. Asks players what they shoot from the FT line; if they start the sentence with the word about, then they’re probably a poor shooter and second, they might not be committed to foul shooting and it’s importance. -I watch how a kid responds to their parents. How a kid deals with his HS coach. I watch how they are during timeouts. -The most pivotal spot in recruiting players is the point guard. -I don’t know if I’m a good recruiter but I do know I’m a hard worker. Often times I am asked how to get into college basketball coaching. One way to get in the coaching profession, in which I haven’t touched on is the student-manager angle. I worked at Michigan State University for two years in the student-assistant capacity. I have also travelled the country the past nine years observing schools practice and the one thing I always take notice of is the managers at practice. Many former managers at the collegiate level have gone on to become coaches. 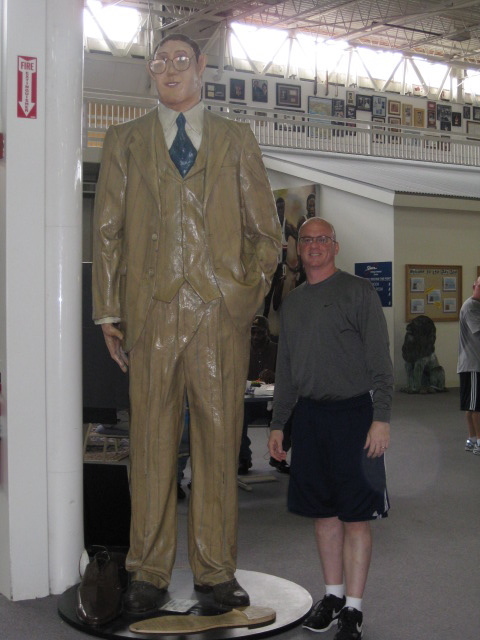 Lawrence Frank, former NBA and college coach was once a manager at Indiana University. Speaking of which, Coach Knight has put out a few others too; Two of Coach Knight’s former managers are head coaches as well: Matt Bowen (Bemidji State) and Joe Pasternack (New Orleans). Not to mention a good friend Dave Owens who is now a high school head coach. I’d also be remiss if I didn’t mention a guy I met this past year, Chuck Swenson, who also was a manager at Indiana before heading into coaching. A student manager is very important. To me, if you don’t have solid ones in the program, it can mean trouble. (At times, I don’t think managers; a-understand how important they are and b-how grateful they should be to be able to help contribute to a program’s success.) While at Michigan State I was able to work with a good guy, Keith Stephens. Here’s what he had to say about his time at MSU. Assist in Practice: One of the toughest areas for a manager. First of all you need to know, during practice, NEVER SIT DOWN! You need to be hands on; ready to do whatever needs to be done. Pass to players during drills, rebound, put out cones for drills, get water and wipe up sweat. You need to hustle, be vocal and never complain. You also may have to help the trainer in some capacity. Keeping stats, the scoreboard are also two areas you need to be ready for. Pre-season conditioning you will be required to be on the track with the team. Water, cups, towels will be needed. Be prepared. Film Exchange: This is an area that takes a lot of planning. You need to make sure you are getting film out to the opponent when requested. Then you have the conference agreement where your future opponent gets ‘x’ amount of films. As an assistant coach at Saint Peter’s during the 2005 season I was in charge of film exchange and let me tell you, it gets crazy if you don’t stay ahead. Mailouts: A lot of coaches like to sign the mail-out for recruits but at times you’ll be finding ways to come up with creative and motivating ones. I was able to put together a few mail-out at MSU and I had a lot of fun with it. Summer Camp: You will probably will be asked to help with camp. You’ll help organize it, run it and of course coach at it. Great way to learn what makes a camp successful. Doug Herner at Michigan State taught me a lot on the ins and outs of camp. Open Gym: Some schools have the managers run open gyms. So you need to be available for that too. To conclude, demonstrate an enthusiastic commitment to the program. Promote positive energy throughout. Look for something so do; ask a coach if they need anything. Ask a coach if they need a ride to the airport or if they need to be picked up. Ask a player if they want to get some shots up, let them know you are available to rebound for them. Don’t take your position as student-manager for granted; you can make some great contacts. If you really want to enter the coaching ranks, it’s a great way to get in like my main man from Twitter @Matt Grahn who is currently an assistant coach at Concordia University in Texas. Grahn was at Washington State with Kelvin Sampson in 1992-93 and with Kevin Eastman from 94-99.